Zach Johnson (left) and Davis Love III (right) live, train and play locally. From beginners to the PGA players who live and train at Sea Island, the resort offers experiences for golfers at every stage. Sea Island is known for beautiful seaside vistas and a relaxing atmosphere, but those aren’t the only reasons the area appeals to golfers. With a Golf Performance Center featuring the latest and greatest technology and an array of experienced instructors, it’s one of the best places in the country to train. Sea Island. Over two-thirds also live in the area, and many are raising children, following in the footsteps of Davis Love III and his family. Like Love, many of them enjoy hunting and fishing, and their families are happy with the variety of activities and dining choices at the resort. Countless visitors also spend time at Sea Island learning the game or fine-tuning their golf skills. While the Golf Performance Center debuted in 1991, Allan says that 15 years ago they decided to make it a place where all golfers could have the same experience that PGA TOUR players get. “We recruited experts in all aspects of golf, including Randy Myers, one of the best fitness trainers in the industry,” Allan explains. “Dr. Morris ‘Mo’ Pickens became our sports psychologist/performance specialist. We already had a great lineup of instructors, starting with Jack Lumpkin, who teaches Davis Love III, and Gale Peterson, one of the LPGA’s top 50 teachers. The center had a great club-fitting team, which I was brought in to lead. Professional golfers are drawn to the camaraderie at Sea Island and the atmosphere of friendly competition, according to Allan. The late Davis Love Jr. moved his family to St. Simons in 1978, when Davis Love III was a teenager. Love returned after college and has lived in the area ever since. Successful PGA TOUR players like Zach Johnson (winner of the 2007 Masters Tournament and 2015 British Open and a member of the 2016 Ryder Cup team) and five-time PGA TOUR winner Jonathan Byrd have followed suit and are raising their families on the Island. Now, a new generation of professionals is being drawn to the lifestyle and training opportunities. Among them are Harris English, Hudson Swafford and Patton Kizzire, who won two of his last six starts at press time. Another resident, Keith Mitchell, just graduated from the Web.com Tour and is a rookie on the PGA TOUR this year. J.T. Poston is in his second year on the PGA TOUR and has had a couple of top 10 finishes. Sometimes playing in a tournament or working with one of the instructors is an introduction to Sea Island that a player can’t resist. 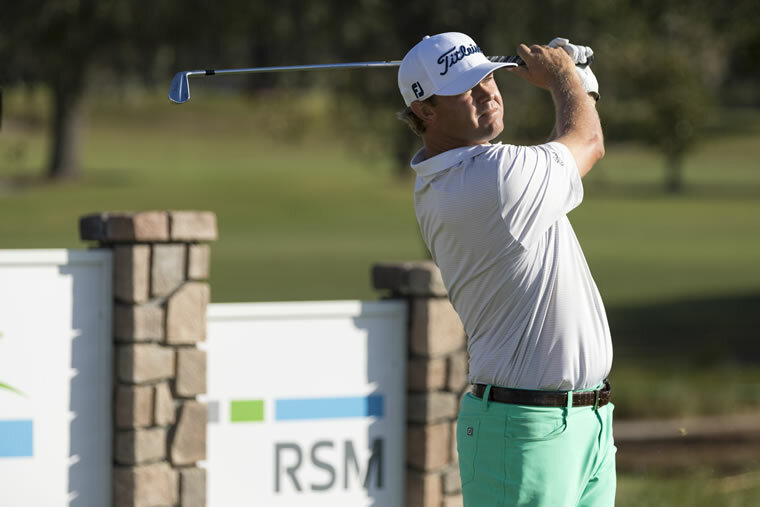 Michael Thompson, who had won the Southeastern Conference championship at the Frederica Golf Club on St. Simons Island in 2008, moved to the Island in recent years. Web.com Tour player Josh Teater has also relocated to Sea Island. Allan adds that Brian Harman from Savannah, Georgia, lives on St. Simons now. “When [Harman] was growing up, his parents would give him a lesson with Jack Lumpkin … every year [as a gift]. He joined the PGA TOUR in 2012 and has won twice,” Allan says. 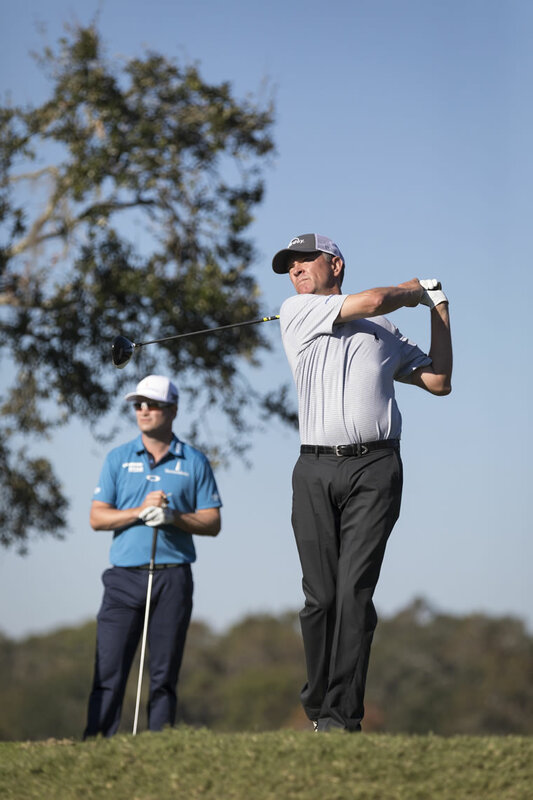 No matter the reason, a move or a visit to Sea Island is sure to be a good decision for those looking to train with the pros, especially once the new Golf Performance Center opens in early 2019.